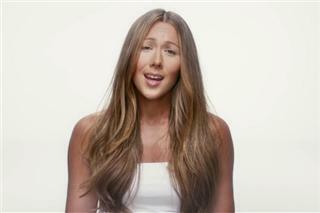 Colbie Marie Caillat (born May 28, 1985) is an American pop singer-songwriter and acoustic guitarist from Malibu, California. She debuted in 2007 with Coco, which included hit singles "Bubbly" and "Realize". In 2008, she recorded a duet with Jason Mraz, "Lucky", which won a Grammy. Caillat released her second album, Breakthrough, in August 2009. Breakthrough was nominated for Best Pop Vocal Album at the 2010 Grammy Awards. She was also part of the group that won Album of the Year at the 2010 Grammys for her background vocals and writing on Taylor Swift's Fearless album. Caillat has sold over six million albums worldwide and sold over 10 million singles. In 2009, she was named Billboard magazine's 94th-best-selling music artist of the 20002009 decade. In 2011, she released her third studio album, All of You. On October 23, 2012 she released her first Christmas album, Christmas in the Sand.